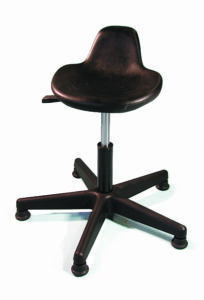 The Speedball Professional Potter’s Stool’s ergonomically-designed, padded seat provides the utmost comfort when throwing and also allows for improved leg circulation. Seat is adjustable from 18” to 23”, and tilts to the desire position, providing the ultimate support. This sturdy stool features a contoured, firm-cushioned seat that provides lower back support while working. Constructed from molded plastic for increased durability and easy cleanup, The Speedball Student Stool can also be adjusted in height from 16” to 21”. 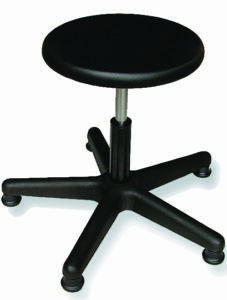 Featuring a firm and durable seat cushion, the Speedball Instructional Potter’s Stool can be adjusted from 18” to 21.5”. 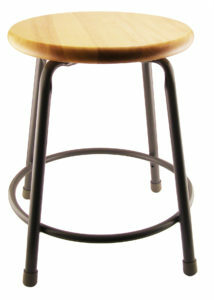 Great for classrooms or shared spaces, the Speedball Stacking Stool is 18” tall and has a wooden seat.